With BeyondTrust's software development kit for mobile devices, a developer can integrate your mobile app with BeyondTrust to provide faster support for your app. The BeyondTrust mobile SDK is a library which, when included in your application, enables remote access and troubleshooting of your app. 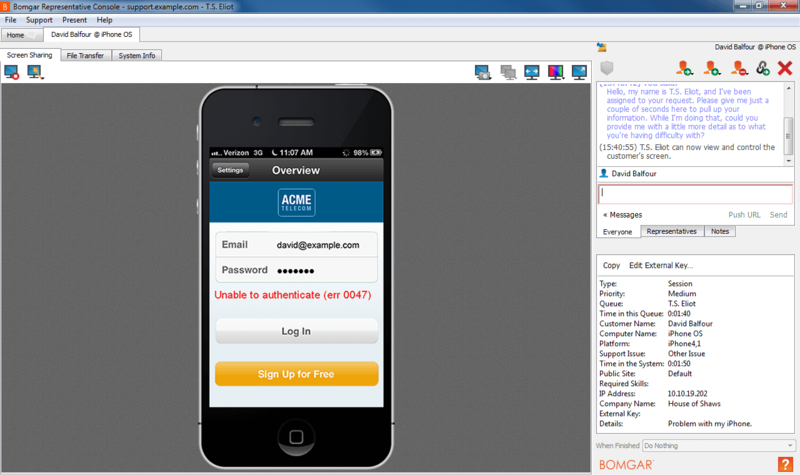 To obtain the mobile SDK package, contact your account manager or submit a request to Sales at www.beyondtrust.com/contact. The BeyondTrust mobile SDKs support Android 4.0 + and iOS 8.2+. Once you have embedded the BeyondTrust SDK into your app, your app can integrate with the Secure Remote Access Appliance, allowing you to support your app in-depth. 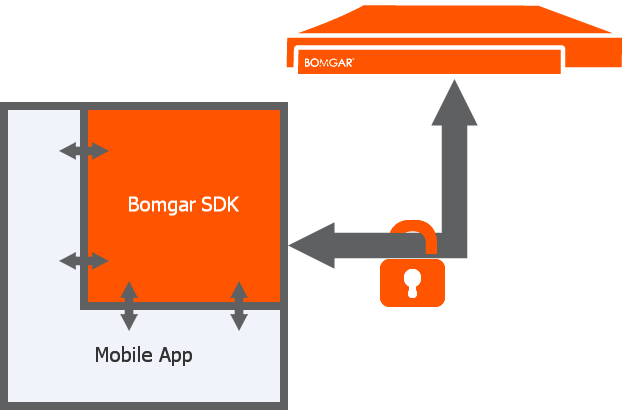 Your application can leverage each of these features through the APIs offered by the SDK. Start a session from within the app using a session key or an issue code name. Chat with your remote customer without leaving your app. View your app on the remote device. Send custom commands to your app to speed your support processes. Using the SDK, connect a special action to any operation your app can perform, such as activating debug mode in the app, switching to a setting screen, extracting a log file, changing a general setting, clearing a local cache, and so forth. *The available functionality depends on the permissions of the app. File transfer to the device's internal storage on Android requires that the app have permission to access it. Additionally, if, for example, sending GPS information back from either platform via custom system information, the app must have permission to access the GPS so it can provide the information to the BeyondTrust SDK. Any data generated in or available to the app can be sent via custom system information.